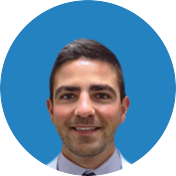 Shadowing an orthopedic doctor is a hugely rewarding experience for pre-med students. 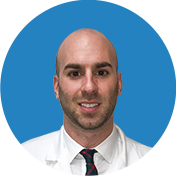 At Manhattan Orthopedic Care, we completely understand how important it is for aspiring students to gain firsthand experience and understanding of the real work as an orthopedic physician, and for that reason, we wholeheartedly open the doors of our practice to the students who are eager to dive deeper into the medical world. 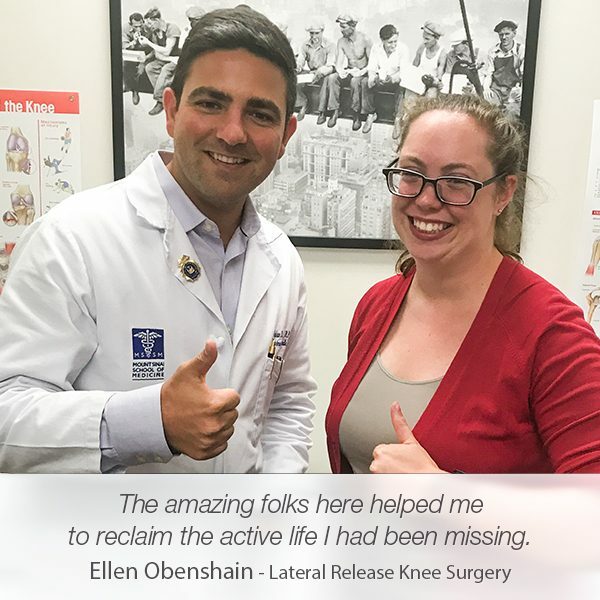 Morgan O’Mara applied for a shadowing opportunity at Manhattan Orthopedic Care, and she was cordially welcomed to ­observe Dr. Armin Tehrany and the team at work. 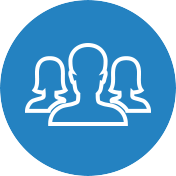 From the very first day, Morgan demonstrated a strong determination to take in as much knowledge as possible during her shadowing experience. 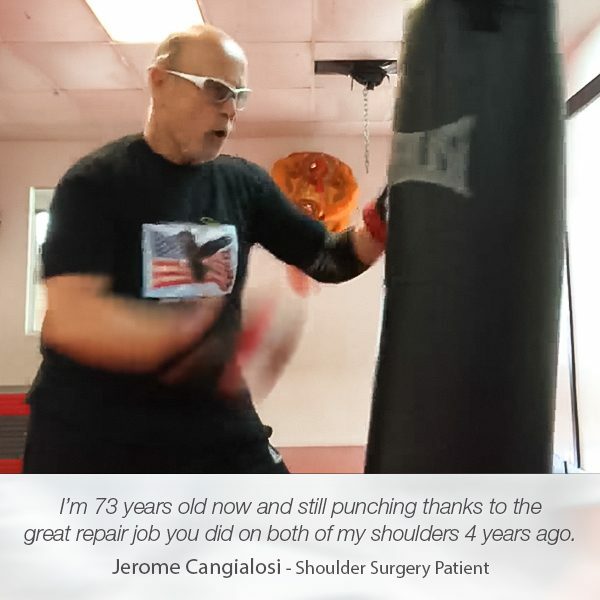 She was genuinely respectful of patients’ privacy and their relationship with Dr. Tehrany, and she was extremely supportive and efficient when she was requested to help. 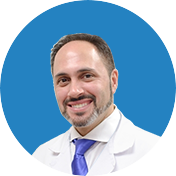 During her stay at Manhattan Orthopedic Care, Morgan carefully observed Dr. Tehrany’s interaction with his patients. 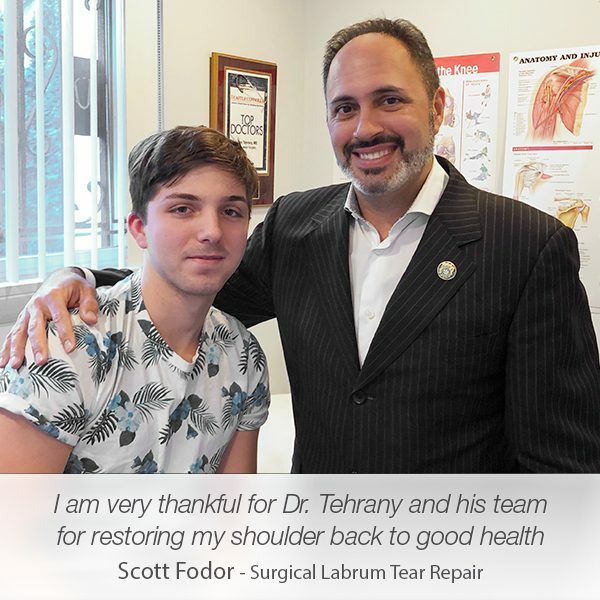 By asking relevant questions and analyzing each step of Dr. Tehrany’s work, Morgan developed a realistic understanding of the responsibilities that an orthopedic doctor bears. 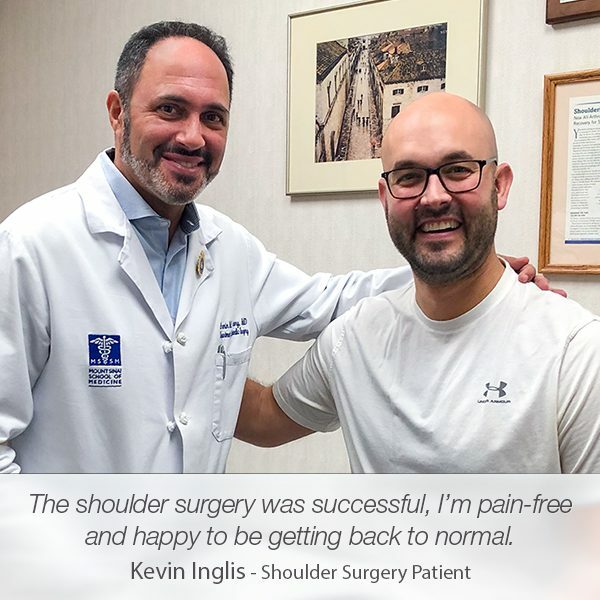 The entire team at Manhattan Orthopedic Care created a comfortable environment for Morgan to interact with the orthopedic physicians and learn about the challenging world of medicine. 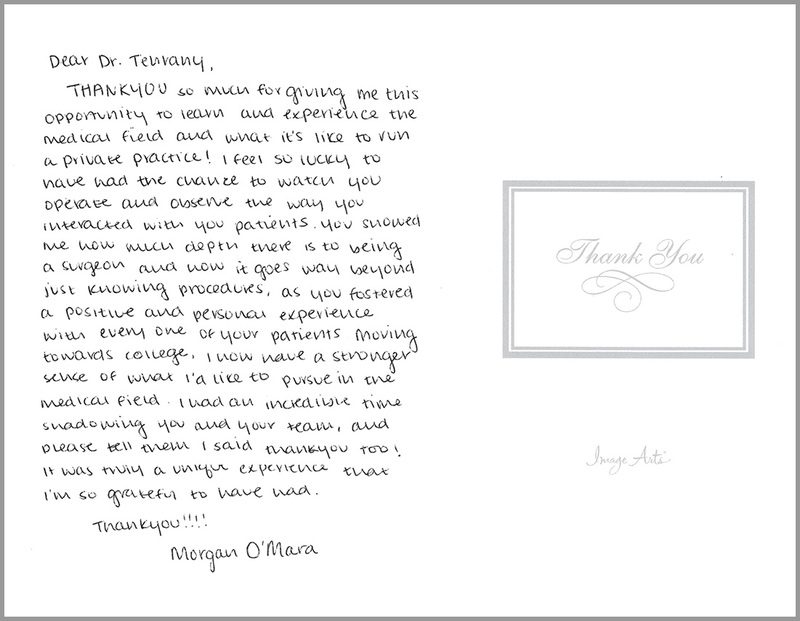 Inspired by Dr. Tehrany’s exquisite professionalism and heartfelt care for his patients, Morgan sent us a lovely card to express her genuine gratitude for the experience she gained at Manhattan Orthopedic Care.